Toyota Trueno RC Drift Cars - PRO Brushless Version. 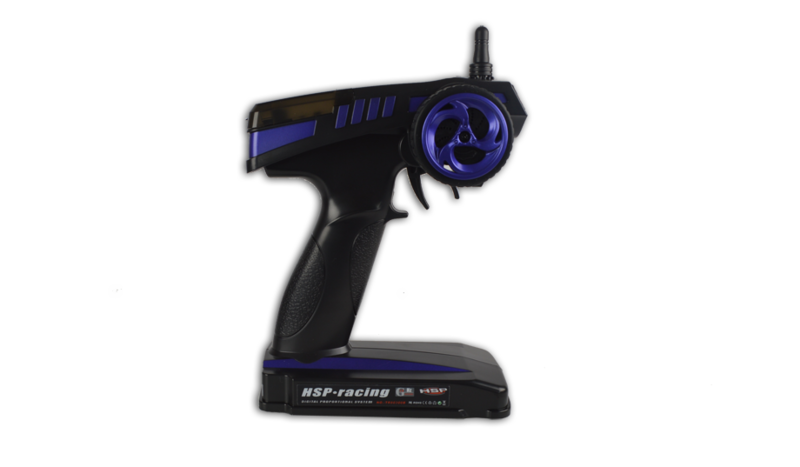 This is an extremely fast model with adjustable pro setup for drift race enthusiasts. 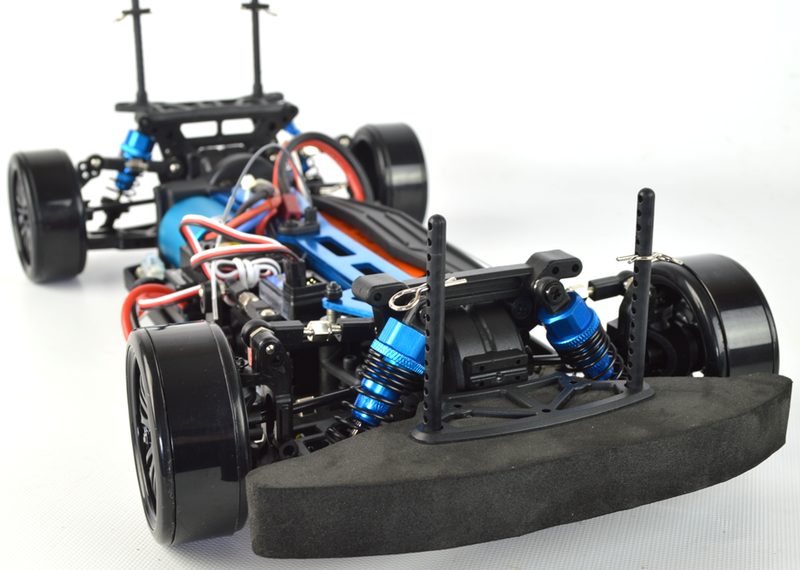 It has all the features and more that you would expect from a hobby grade model including aluminium oil filled shocks, working differentials, aluminium parts used where needed including aluminium central drive shaft and upper chassis, slipper clutch and advanced servo saver. This is a car that is on a competition ready platform giving you ultimate drifting power. This upgraded version, just like the standard, comes with solid compound drift tires and pre-mounted high performance wheels allowing you to perform the perfect controlled drift. This is further enhanced by the 4WD system for consistent drift on a wide variety of surfaces. All the adjustments for a perfect drift set-up are there: camber, toe-in, body level etc. The body shell on this car is a perfect replica of the 1986 version of the Toyota Tureno and is finished off with cool black wheel rims. There is a large foam front bumper fitted for crucial protection just in case one of those drifts goes a little off track! 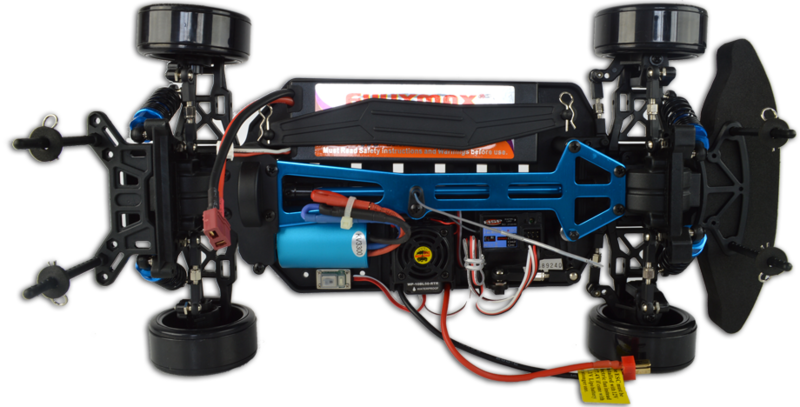 The radio controlled car comes ready to run, all you require are 8 standard AA batteries for the 2.4GHz transmitter and you are ready to go. 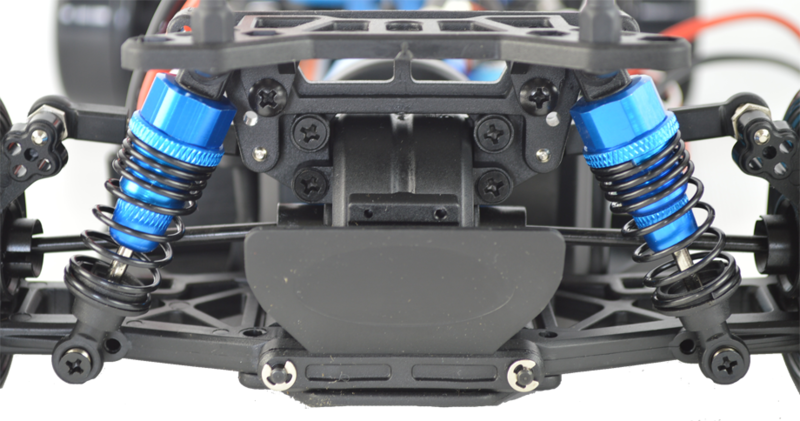 Brushless motors are much faster than standard brushed ones. 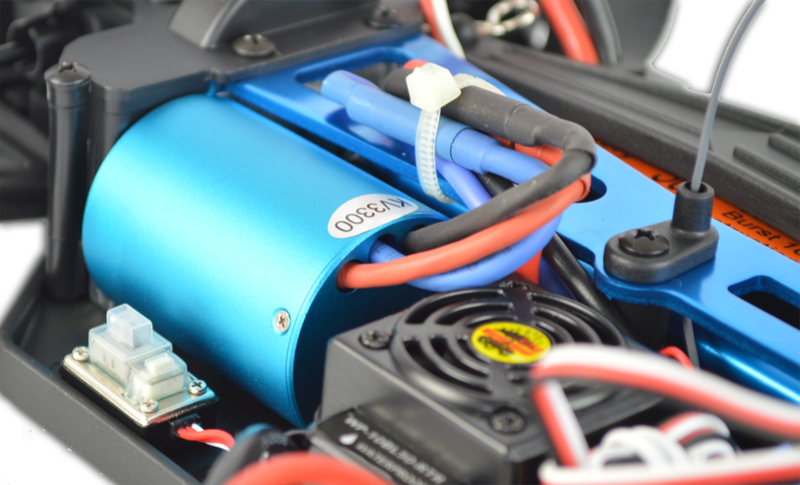 The motor is connected to an electronic speed controlwith its own fan to keep it cool and operating at its peak. 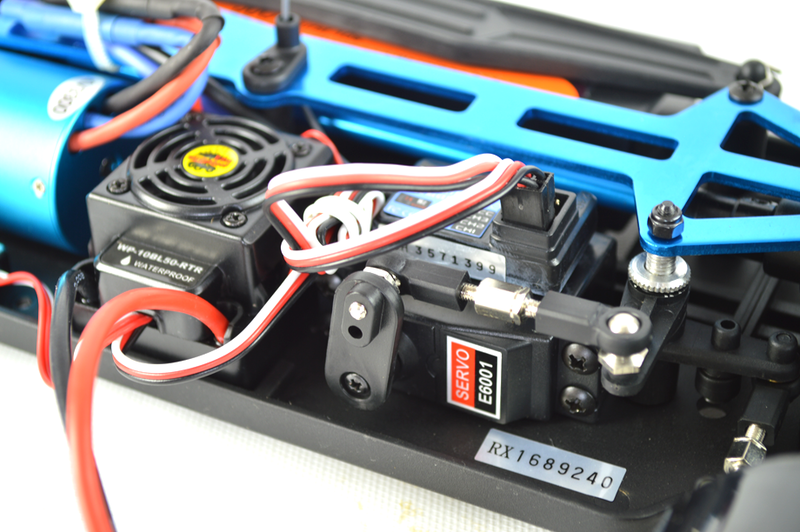 Includes an upgraded 7.4v Lipo battery that is needed to enjoy the full power of the brushless motor.